Dancing with the Stars' resurgence finally hit a skid in the fall, with the first fall season to finish down in Plus in five years. But that didn't stop ABC from having huge growth in the fall, because the network came up with a massive winner in the 10/9c hour with drama newbie The Good Doctor. It consistently grew by a half point or more from DWTS and was very close to tripling what Conviction did in Plus last season. The winter edition of The Bachelor did noticeably better ratings than DWTS, as usual, but its year-to-year numbers were even more disappointing: a year of double-digit Plus decline following five straight years of growth. The Good Doctor was a bit softer in the back half of its season and mostly was only able to match or very narrowly exceed its lead-ins, but its year-to-year growth was still well into the triple digits as it got compared with the disastrous 2017 Monday run for Quantico. The end of The Good Doctor sent ABC back to reality in the 10/9c hour, though The Crossing was still a better option than Quantico. ABC finally got some better news in the first two hours with a successful stint for American Idol, though the brief late-spring season of Dancing with the Stars (not pictured here) finished below the league average. Dancing with the Stars Fall: This is one of many shows from the fall that looked not that bad at the time (when the league average decline was in the high teens), but now looks worse because of how much healthier broadcast TV got in the winter and early spring. But even at the time, we could see it was a little bit of an off year; maybe it was because of how heavily TGD built from it. Grade: C.
The Bachelor: A bit of a complicated comparison since The Bachelor had to face two weeks of huge NCAA football, plus two weeks of Winter Olympics, plus had a regular Sunday episode, but also benefited in the average from essentially stretching the finale night out to five hours. It was clear even in the "regular" weeks that this show was way down, but it got some real redemption with a really good finale spike to 2.2 (which it carried over to After the Final Rose on Tuesday). Grade: C.
American Idol: For most of the season, it felt like Idol was in the "annoying" territory where it was not really clear whether it was success for ABC given the considerable expenditure. If it had continued on the typical Idol trajectory and finished in the very low 1's, that's where we would still be. But a dazzling run of high-1's for the live shows on Sunday really took this into the win column. It didn't quite match the final season on Fox (maybe it would have if scheduled in a better part of the year), but it did beat the last couple years of the Fox collapse in 2014 and 2015. ABC will take it. Grade: B+. Dancing with the Stars Spring: If you just look at the raw comparisons with regular DWTS seasons, this looks like an utter disaster by Dancing standards. I'm willing to cut it a little slack because it was a short-order themed season, but that's not enough to say it was any kind of success. This clearly did not work. 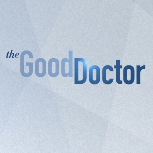 Grade: D.
The Good Doctor: As I said during the upfronts, I almost feel like the magnitude of its fall success got taken for granted because it stayed around long enough to soften a bit in the winter. Not only did it get big hit Live+SD numbers, but almost every episode doubled its demo in Live+7. This would suggest that even at these huge levels, it was held back a bit by airing in the 10/9c hour. This show was a really big deal. Grade: A. The Crossing: It was never a favorite for renewal, but for the first month it was at least in the conversation with its fellow midseason dramas Deception and For the People. But after Idol gave way to Dancing: Athletes, The Crossing really fell off a cliff, and likely closed out as the weakest of the three. Grade: D.
Here's the now updated Schedules Plus for ABC Monday.